At a glance Make business spending more rewarding. Benefits include 2 miles per $1 spent on United purchases, and on purchases at restaurants, gas stations and office supply stores. * Same page link to Offer Details Plus, enjoy free first checked bag* Same page link to Offer Details and other great United travel benefits. Terms apply. This bonus offer is available to you if you do not have this card and have not received a new cardmember bonus for this card in the past 24 months. The primary Cardmember and one companion traveling on the same reservation will each receive their first standard checked bag free – calculated as a $30 value for the first checked bag, each way, per person – on United-operated flights when purchasing tickets with their United Explorer Card. * Same page link to Offer Details See united.com/ChaseBag for details. Take some time to relax before your flight with two United Club one-time passes, which will be deposited into your MileagePlus account after account opening and each year for your Cardmember anniversary. * Same page link to Offer Details Enjoy complimentary beverages, snacks, and amenities like workspaces, free Wi-Fi and more. As the primary Cardmember, you will also enjoy expanded award availability when you use miles to book any United-operated flight, any time, with no restrictions or blackout dates. * Same page link to Offer Details Visit united.com/AirAwards for details. Purchase private, once-in-a-lifetime experiences – from celebrity meet-and-greets to private culinary and sports events. United MileagePlus® Visa Signature® cardmembers can use award miles for exclusive experiences such as private winemaker dinners and VIP access to live theater and museum events. Take some time to relax before your flight with two United ClubSM one-time passes, which will be deposited into your MileagePlus account after account opening and each year for your Cardmember anniversary* Same page link to Offer Details – over a $100 value. Enjoy complimentary beverages, snacks, and amenities like workspaces, free Wi-Fi and more. This new Cardmember bonus offer is not available to either (i) current Cardmembers of this business credit card, or (ii) previous Cardmembers of this business credit card who received a new Cardmember bonus for this business credit card within the last 24 months. With this bonus offer, you will qualify and receive 50,000 bonus miles after you make Purchases totaling $3,000 or more during the first 3 months from account opening. ("Purchases" do not include balance transfers, cash advances, travelers checks, foreign currency, money orders, wire transfers or similar cash-like transactions, lottery tickets, casino gaming chips, race track wagers or similar betting transactions, any checks that access your account, interest, unauthorized or fraudulent charges, and fees of any kind, including an annual fee, if applicable.) After qualifying, please allow 6 to 8 weeks for bonus miles to post to your account. To be eligible for this bonus offer, account must be open and not in default at the time of fulfillment. Bonus miles do not count towards Premier status. If your account is not open for at least six months, United and Chase reserve the right to deduct the bonus miles from your MileagePlus Program account. Offer subject to change. The primary Cardmember and one traveling companion on the same reservation are each eligible to receive their first standard checked bag free; authorized users are only eligible if they are on the same reservation as the primary Cardmember. To receive first standard checked bag free, the primary Cardmember must include their MileagePlus® number in their reservation and use their United Explorer Business Card to purchase their ticket(s). First standard checked bag free is only available on United- and United Express-operated flights; codeshare partner-operated flights are not eligible. Service charges for oversized, overweight and extra baggage may apply. Cardmembers who are already exempt from other checked baggage service charges will not receive an additional free standard checked bag. Chase is not responsible for the provision of, or failure to provide, the stated benefits. Please allow 2 weeks after account opening for your first free standard checked bag to be available on eligible United reservations. Please visit united.com/ChaseBag for details. The primary Cardmember and companions traveling on the same reservation are eligible for priority boarding; authorized users are only eligible if they are on the same reservation as the primary Cardmember. To receive priority boarding, the primary Cardmember must include their MileagePlus® number in their reservation. Priority boarding is only available on United®- and United Express®-operated flights; codeshare partner-operated flights are not eligible. UnitedSM Explorer Business Cardmembers can board the plane before general boarding, after MileagePlus Premier® members, customers with Premier Access® and travelers requiring special assistance. Chase is not responsible for the provision of, or failure to provide, the stated benefits. Please allow 2 weeks after account opening for priority boarding to be available on your United reservation. As long as tickets are still available for sale for the applicable cabin on any United-operated flight, the primary Cardmember can use miles to book award travel on such flight, including award travel booked by the primary Cardmember for an authorized user under the primary Cardmember's MileagePlus number. The primary Cardmember's MileagePlus number must be provided before starting the award travel booking process. Award bookings under an authorized user's MileagePlus number will not receive this benefit. Award pricing is subject to change without notice. Awards on partner-operated flights and upgrade awards are subject to limitations and restrictions. Passenger is responsible for all taxes, fees, baggage fees and surcharges applicable to award travel, including, with respect to government imposed taxes and fees, September 11th Security Fee of $5.60 per one-way trip that does not include a government defined stopover, US Customs, Immigration and APHIS User Fees of $16.73 for each international arrival in the U.S.; and non-U.S. government ticket taxes, fees and airport charges may add up to $300 per ticket as of January 1, 2019. Such taxes, fees and surcharges must be paid at the time of ticketing and are subject to change. Chase is not responsible for the provision of, or failure to provide, the stated benefits. Visit united.com/AirAwards for details. Rewards Program Agreement: For more information about the UnitedSM Explorer Business Card rewards program, view the latest Rewards Program Agreement. We will mail your Rewards Program Agreement once your account is established. If you become a Chase Online customer, your Rewards Program Agreement will also be available after logging in to chase.com. How you can earn miles: You'll earn miles when you, or an authorized user, use a UnitedSM credit card to make purchases of products and services, minus returns or refunds. Buying products and services with your card, in most cases, will count as a purchase; however, the following types of transactions won't count and won't earn miles: balance transfers, cash advances and other cash-like transactions, lottery tickets, casino gaming chips, race track wagers or similar betting transactions, any checks that access your account, interest, unauthorized or fraudulent charges, and fees of any kind, including an annual fee, if applicable. 1 mile: You'll earn 1 mile for each $1 spent. 2 miles: You'll earn 2 miles total for each $1 spent (1 additional mile on top of the 1 mile per $1 earned on each purchase) on airline tickets purchased from United. The following purchases made from United also earn 2 miles total for each $1 spent: seat upgrades; Economy Plus®; inflight food, beverages and Wi-Fi; baggage service charges or other United fees. Other United related purchases, such as United Cruises®, MileagePlus X, DIRECTV® and Merchandise Awards, are excluded. United tickets booked through some discount travel websites or as part of a third-party travel package will also not qualify. You'll also earn 2 miles total for each $1 spent (1 additional mile on top of the 1 mile per $1 earned on each purchase) in the following rewards categories: restaurants; gas stations; office supply stores. Information about earning/transferring miles to United: Miles earned during a billing cycle will be automatically transferred to United after the end of each billing cycle. Miles expiration: The miles transferred to your MileagePlus® account will not expire as long as your credit card account is open. If your credit card account is closed, or if you change your account to a Chase United Credit Card account which does not have an annual fee, your miles will expire according to the MileagePlus program rules. Losing miles: You'll immediately lose all miles that haven't been transferred to United if your card account status changes, or your card account is closed for program misuse, fraudulent activities, failure to pay, bankruptcy or other reasons described in the terms of the Rewards Program Agreement. Rewards Categories: Merchants who accept Visa/MasterCard credit cards are assigned a merchant code, which is determined by the merchant or its processor in accordance with Visa/MasterCard procedures based on the kinds of products and services they primarily sell. We group similar merchant codes into categories for purposes of making rewards offers to you. Please note: We make every effort to include all relevant merchant codes in our rewards categories. However, even though a merchant or some of the items that it sells may appear to fit within a rewards category, the merchant may not have a merchant code in that category. When this occurs, purchases with that merchant won't qualify for rewards offers on purchases in that category. Purchases submitted by you, an authorized user, or the merchant through third-party payment accounts, mobile or wireless card readers, online or mobile digital wallets, or similar technology will not qualify in a rewards category if the technology is not set up to process the purchase in that rewards category. For more information about Chase rewards categories, see www.Chase.com/RewardsCategoryFAQs. Upgrading Award Tickets: The primary Cardmember who has MileagePlus® Premier® status and is traveling on an award ticket is eligible for Complimentary Premier Upgrades on select United- and United Express-operated flights, subject to availability; travel companions and authorized users are not eligible. Assignment of Complimentary Premier Upgrades on award tickets within each Premier level will be prioritized after the lowest paid fare class. Chase is not responsible for the provision of, or failure to provide, the stated benefits. Please visit united.com/upgrades for details on flights eligible for Complimentary Premier Upgrades and upgrade processing. The Luxury Hotel & Resort Collection (LHRC) program benefits and Guest Privileges are available exclusively on select Chase credit cards. To receive the Guest Privileges, reservations must be made through an LHRC Travel Specialist or on LHRCollection.com. Websites and other information provided by LHRC and/or participating hotels are not within Chase's control and may or may not be available in Spanish. All exclusive amenities and Guest Privileges are provided per room and are based on double occupancy. Some amenities may only apply to select rates, may be subject to availability at check-in, and are not redeemable for cash. Amenities may not be combined with other offers, including tour operator or wholesaler rates and packages. Complimentary Wi-Fi provided, with the exception of Mombo Camp where Wi-Fi is not available. Program benefits, participating properties, and Guest Privileges are valid through the current calendar year, but may become unavailable due to circumstances outside of Chase's control. All efforts have been made to ensure the accuracy of the information contained. We reserve the right to correct any mistakes. Certain blackout dates and other restrictions may apply. This program is brought to you by Chase through an agreement with Signature Travel Network. This product is reserved for business owners. Individuals whose requests for this offer are not approved will not be enrolled in MileagePlus® through this request, although existing MileagePlus members will remain enrolled in MileagePlus. Employees will not be enrolled in MileagePlus as a result of this request. MileagePlus miles awarded through the use of the employee's or authorized user's card will only be credited to the authorizing officer's account. 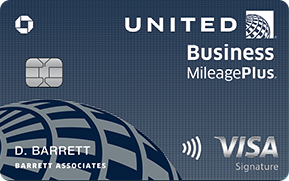 If a cardmember's membership in United's MileagePlus Program is terminated in accordance with the terms and conditions of that Program, the cardmember will no longer be eligible to earn any MileagePlus miles for purchases using the United Card. Chase's sole obligation concerning the award and redemption of miles shall be to make a valid request to United to award miles to the cardmember's associated MileagePlus account. Chase disclaims liability or responsibility for United's failure to award or redeem miles to the cardmember's associated MileagePlus account after Chase has met its obligations to United in connection with such a request. Benefits are available as long as cardmember's UnitedSM Explorer Credit Card account is open and not in default. Upon closure of the cardmember's United Explorer Credit Card account, all benefits will be canceled. Miles accrued awards, and benefits issued are subject to change and are subject to the rules of the United MileagePlus program, including without limitation the Premier® program, (the "MileagePlus Program") which are expressly incorporated herein. Please allow 6-8 weeks after completed qualifying activity for miles to post to your account. United may change the MileagePlus Program including, but not limited to, rules, regulations, travel awards and special offers or terminate the MileagePlus Program at any time and without notice. United and its subsidiaries, affiliates and agents are not responsible for any products or services of other participating companies and partners. Taxes and fees related to award travel are the responsibility of the member. Bonus award miles, award miles and any other miles earned through non-flight activity do not count toward qualification for Premier status unless expressly stated otherwise. The accumulation of mileage or Premier status or any other status does not entitle members to any vested rights with respect to the MileagePlus Program. All calculations made in connection with the MileagePlus Program, including without limitation with respect to the accumulation of mileage and the satisfaction of the qualification requirements for Premier status, will be made by United Airlines and MileagePlus in their discretion and such calculations will be considered final. Information in this communication that relates to the MileagePlus Program does not purport to be complete or comprehensive and may not include all of the information that a member may believe is important, and is qualified in its entirety by reference to all of the information on the united.com website and the MileagePlus Program rules. United and MileagePlus are registered service marks. For complete details about the MileagePlus Program, go to united.com. Accounts subject to credit approval. Restrictions and limitations apply. United credit cards are issued by Chase Bank USA, N.A. Offer subject to change.